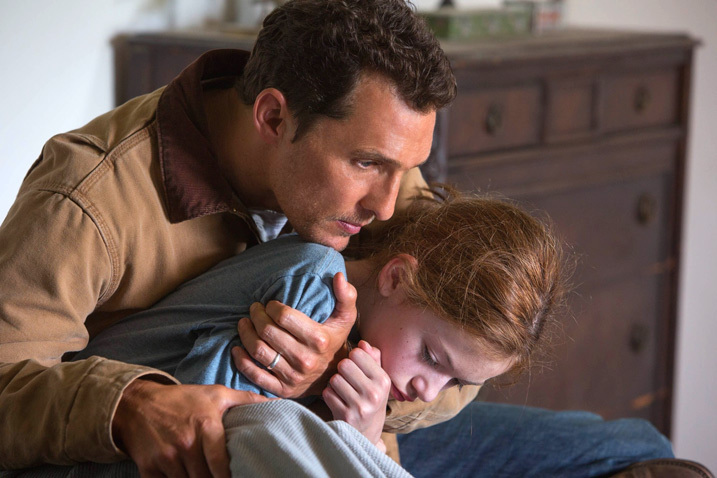 It’s been out for less than a week, but I already have the last few minutes of “Interstellar” memorized. I am a film and digital projectionist at one of the most famous and prestigious movie theaters in Hollywood, and part of my job right now involves my waiting for “Interstellar” to end so I can safely shut down the decades-old 70mm projector as the movie “tails out,” when the last remaining footage of celluloid makes its way through the projector and (literally) winds up back on the large spinning metal discs we call platters. 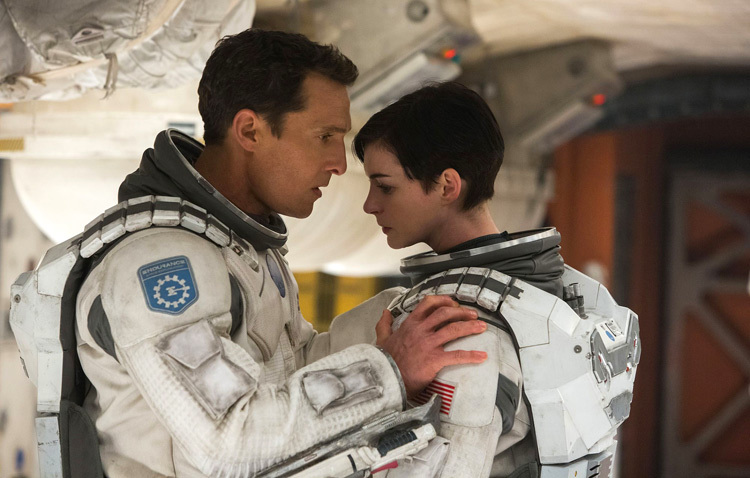 But before all this happens, I watch the last few minutes of “Interstellar” from the back of the theater, silently mouthing along with the dialogue until that final shot of (spoiler alert) a shockingly helmetless Anne Hathaway settling down on the freshly-colonized Earth 2, or whatever they’re going to call it. And then the image cuts to black. The credits roll. And the audience applauds….sometimes. He went on to tell me that he understands “applauding at a live performance, because the people whose talent you’re publicly endorsing are there to appreciate it. But in a [movie] theater it’s just stupid, because nobody there had anything to do with the film.” My own notion was initially even more cynical, as I posited that people did it to have their opinions validated– confirmed that they are “correct” by their peers around them in the theater. I also figure it might be possible, based on my admittedly narrow experience, that this is a tradition limited mostly to Los Angeles, where the likelihood of someone involved with the film being in the audience is significantly higher than the rest of the country. But I’ve noticed over the past week that this phenomenon is not consistent. As often as there is a brisk round of applause following the conclusion of “Interstellar,” the credits are occasionally greeted with an uneasy, almost eerie silence. I follow the above-mentioned routine several times a day and I would say the latter has occurred about a quarter of the time. So why the inconsistency? The crowds have been uniformly sold-out since the movie opened last Tuesday evening. And people, by and large, seem to like it. As of this writing, “Interstellar” has a 74% approval rating on Rotten Tomatoes, and even if you thought the movie felt padded and a shade too predictable like I did, you have to admire the ambition and technique that went into making it. Regardless, you’d think roughly the same percentage of each audience would deem the film applause-worthy. How do we account for the discrepancy? The first few days of the movie’s run trended more toward applause. Chris Nolan superfans and film geeks like myself who showed up early to avoid spoilers and be among the first to witness one of the more eagerly-anticipated pop culture events of the year were inclined to react positively and audibly at its conclusion. As critically-minded as we cinephiles may be, we do ultimately want to like movies. And when we like them, we like telling others about it. I myself recently raced to rave about the stellar, exhilarating, outside-the-box thriller “Whiplash” on Facebook immediately after leaving the theater. This brand of passion could certainly account for the consistent applause at the outset of “Interstellar”‘s release, but why did the same response endure for certain shows, and not others, as the week went on? It seems odd, especially considering the lack of drop-off in crowd size. A coworker hypothesized that it might have something to do with the time of day. Crowds in the afternoon or early evening are bright and chipper and more likely to show enthusiastic support for a movie they enjoyed, often sticking around through and beyond the credits, excitedly discussing their reactions in the lobby while the floor staff cleans up for the next show. Late-night filmgoers, especially once you get past the midnight hour, tend to be logy and lethargic, opting to stumble back to their cars as soon as the end titles hit the screen, half-heartedly muttering their thoughts to friends or to themselves. 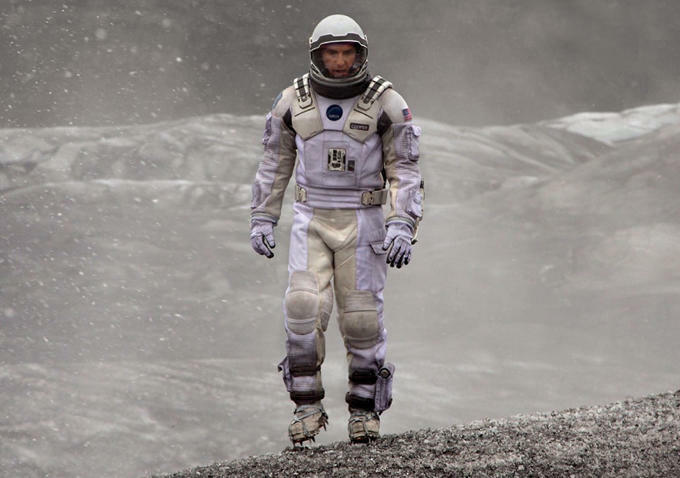 (Bear in mind “Interstellar” is almost three hours long.) Another possibility, offered to me on Twitter by my friend Laurel, is what she called “mob mentality. If one person starts clapping, everyone will. [The] same is true for laughter.” I suggested I might consider laughing at the beginning of the “Interstellar” credits just to see what happens. The optimist in me wants to believe Ben Radford’s friend, and in the romantic idea that people can spontaneously erupt into applause if they’ve been moved enough by a piece of art. I know I’ve clapped to myself reflexively while reading a book or watching a particularly engrossing TV show at home alone. And the times when there’s no applause? Well, I can only guess that something must have been slightly off about that specific communal experience of seeing the movie. I just hope it wasn’t the projectionist’s fault.